inquisitiveness on the store house of books and manuscripts. He took us further to another room full of books and waved his hand with a gesture urging us to take a look. The first book that I could lay my hand on was , The Tibetan Book of the Dead. I opened the book and to my surprise I found the bookplate of KUMARS stuck in the first cover. I was rapturous and shouted out to my family to have a look. Here we were hundreds of miles away from home and what a coincidence. The book was presented to His Holiness the Dalai Lama by my father. Books after books followed. All were not presented but were from the collection of KUMARS. 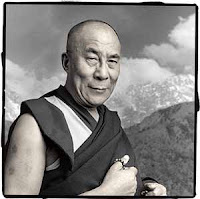 The curator told me that Dalai Lama most probably visited my father in Calcutta, sometime in 1959 after coming to India. 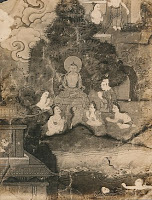 He had expressed his desire to start a collection on Tibet. Immediately after the arrival of His Holiness the Dalai Lama and his followers in India, an All India Tibet Convention was held in Calcutta on 30-31 May 1959 under the president ship of Lok Nayak Jayaprakash Narayan. The conference strongly condemned the Chinese occupation of Tibet and expressed the Indian people’s deep sympathy and support to the Tibetans in their struggle for freedom. We went through the vault which housed a rare collection of books, manuscripts, prints,maps and other materials on Tibet. From Gucci’s Tibetan Painted Scroll to Sven Hedin’s Tibet. From Narratives of the Mission of George Bogle to Tibet and of the Journey of Thomas Manning to Lhasa by R. Markham 1876 to Through Unknown Tibet byM.S. Wellby. London, 1898. The list is endless. Contributed from throughout the world by folks who belived in the cause for the freedom of Tibet .